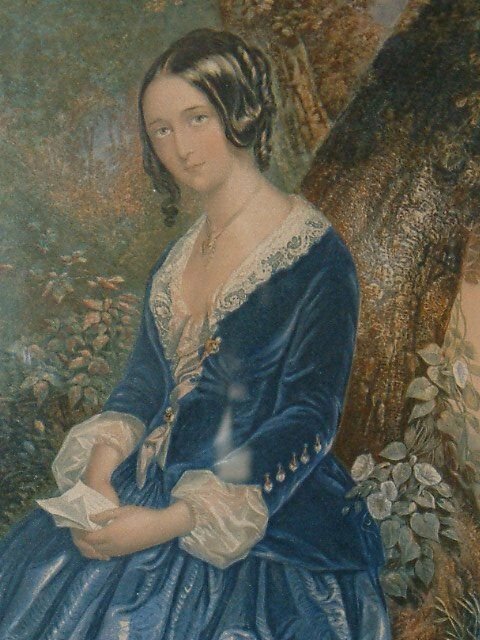 Royal Institute, Paris Salon, and in the Provinces. 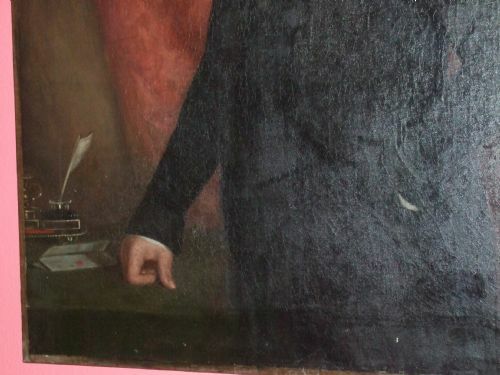 Elected R.I. 1913, R.Cam.A. 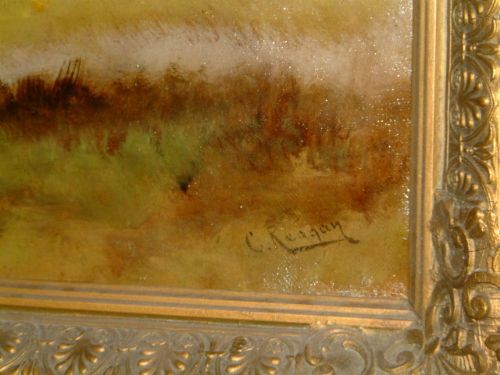 1926, Represented in several public collections. 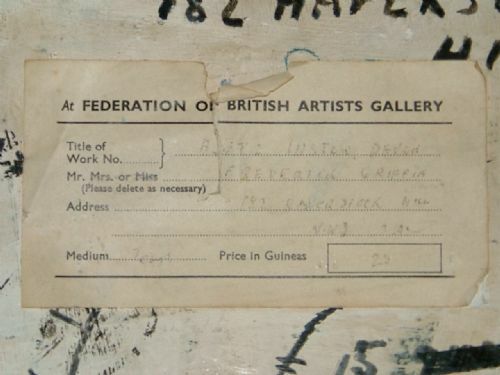 One-man shows were held at The Fine Art Society. 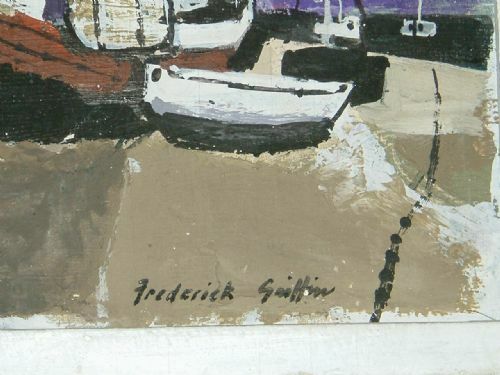 Lived at Teignmouth in Devon for many years and died in June 1951. 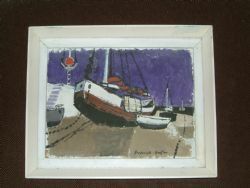 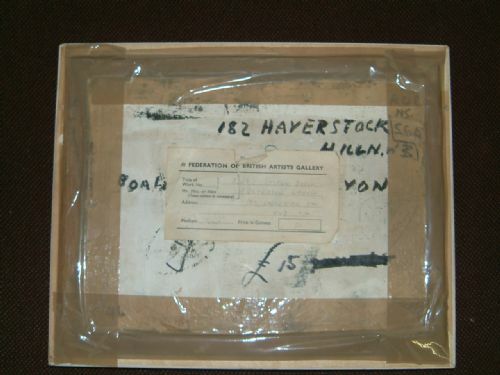 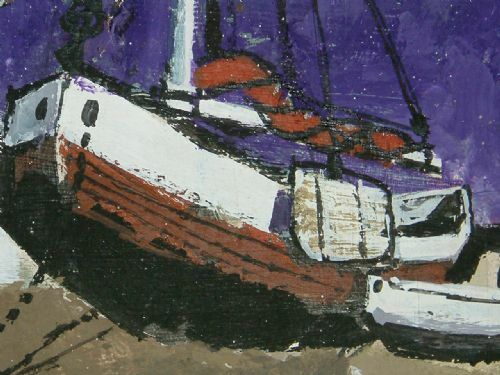 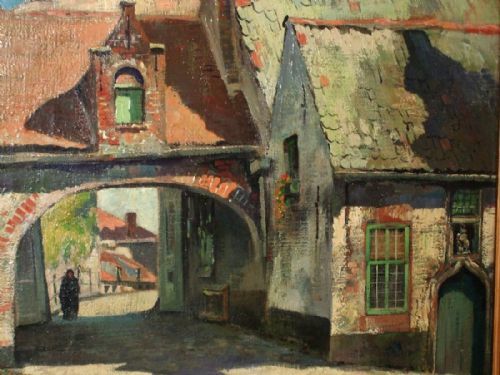 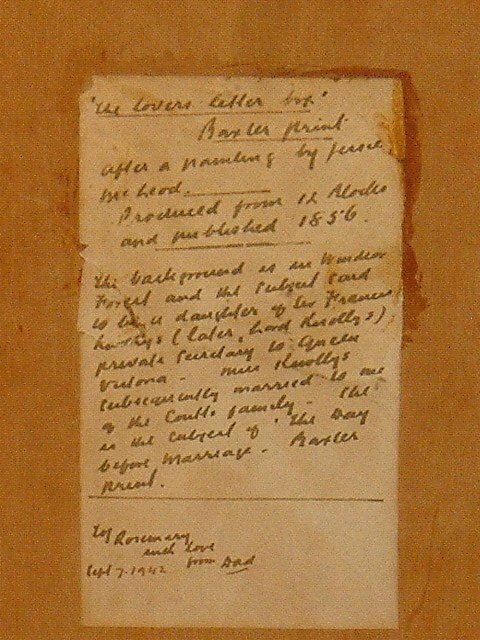 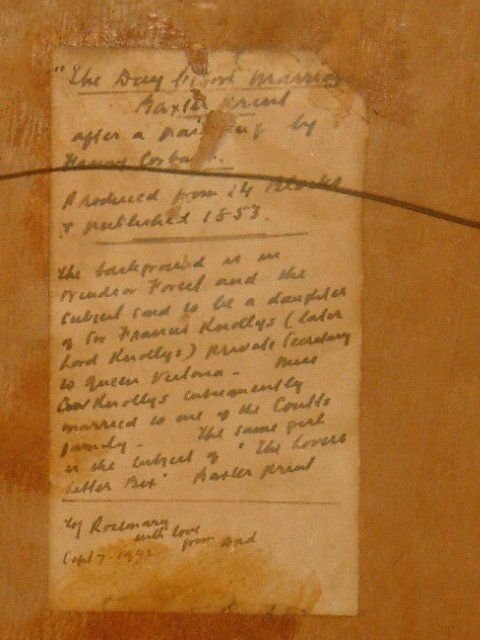 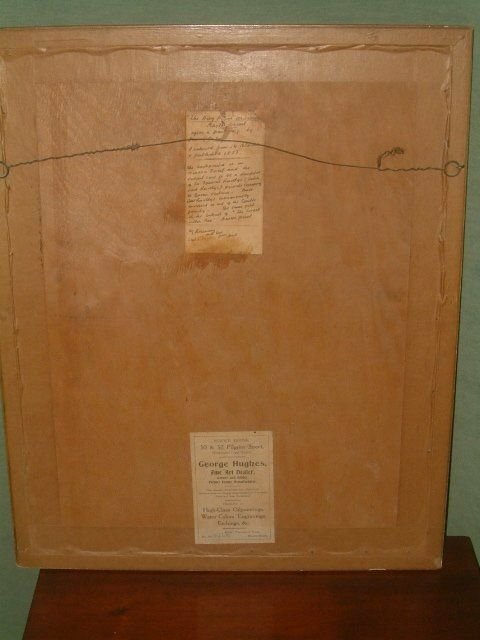 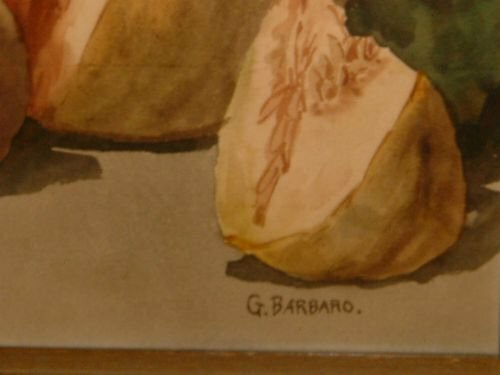 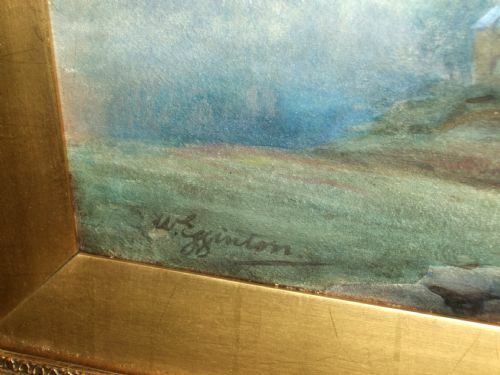 He was the father of Frank J. Egginton also A highly talented and collected Artist. 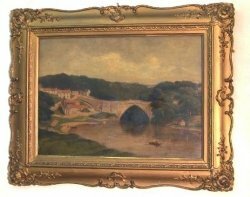 European River Bridge Scene 18th Century Oil Painting on Canvas Laid onto Wooden Panel Behind Glass in a Giltwood & Gesso Frame. 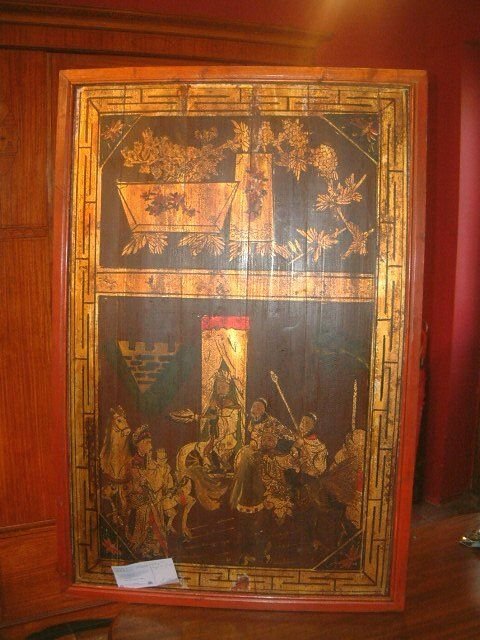 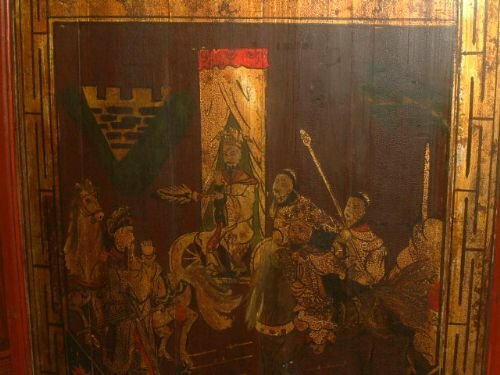 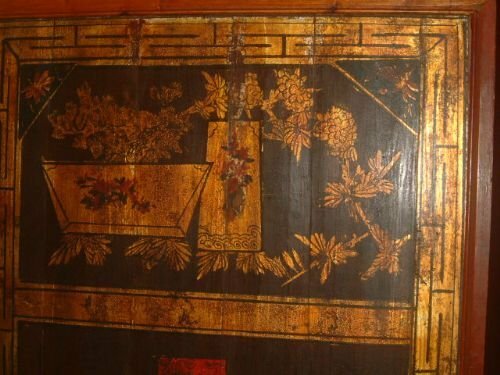 Oriental Lacquer Panel 19th Century. 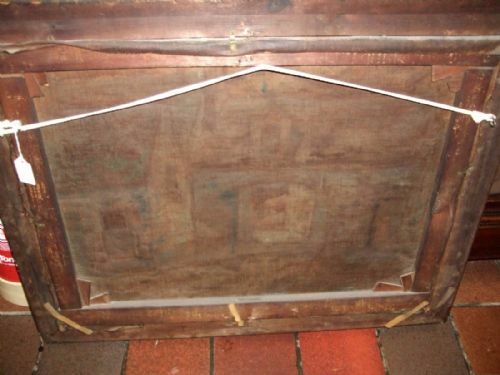 Victorian Tapestry Picture in Original Birdseye Maple Frame. 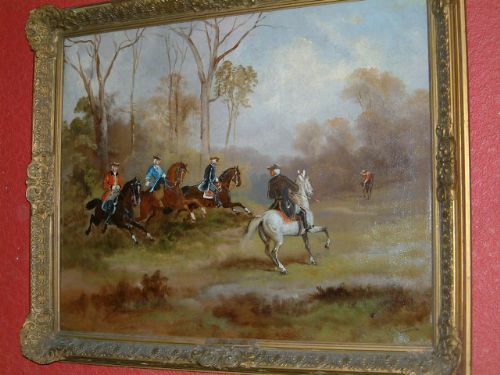 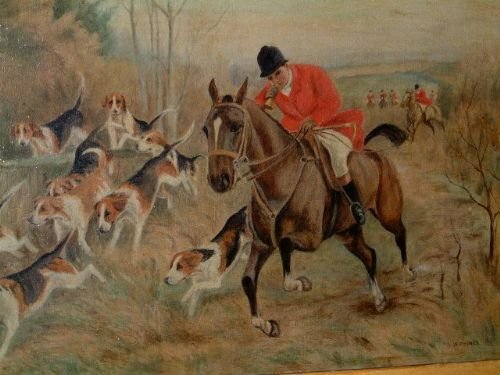 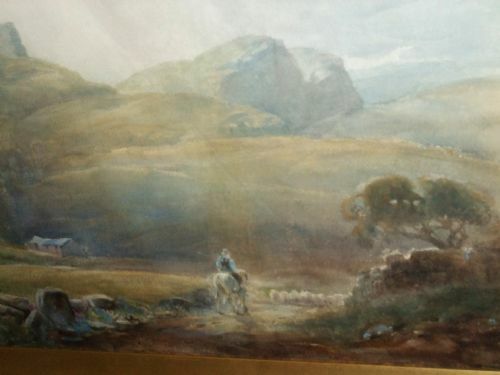 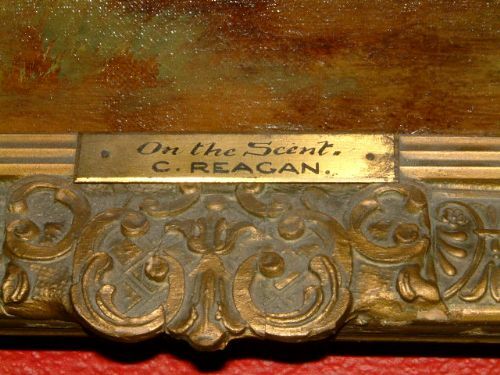 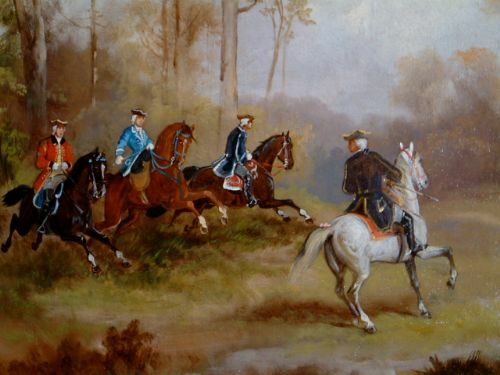 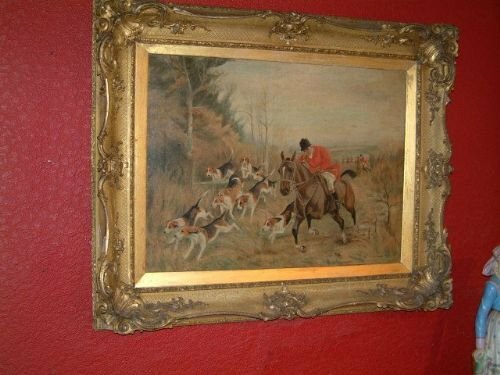 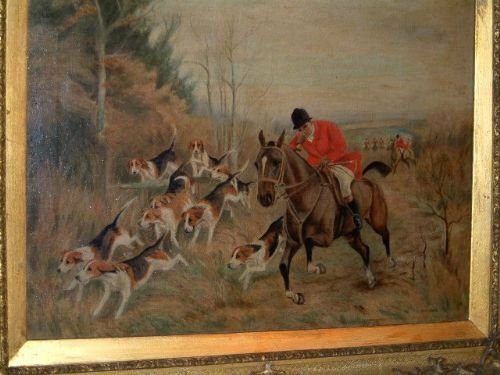 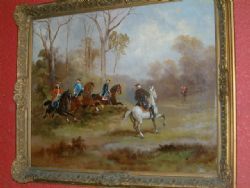 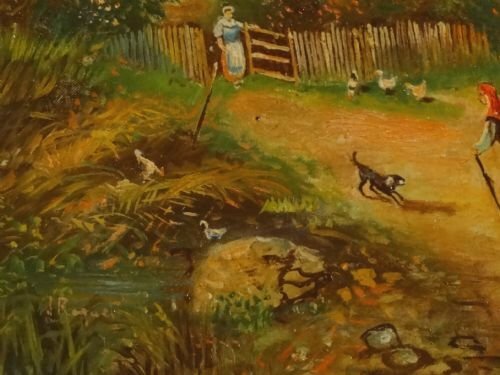 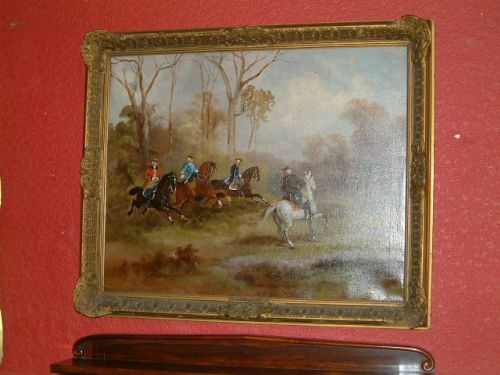 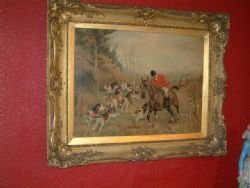 19thC Oil On Canvas Depicting Hunting Scene, Signed C.Reagan Entitled "On the Scent" with Name Plaque. 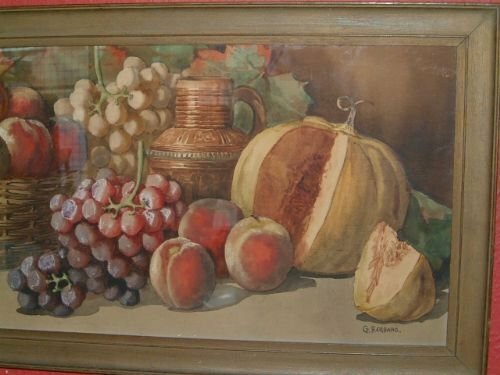 A Superb example of his work. 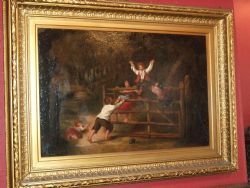 Overall Size 34" x 16.5"
19th Oil Painting on Canvas in Gilt Frame, Woodland Scene of Children Playing on a Gate. 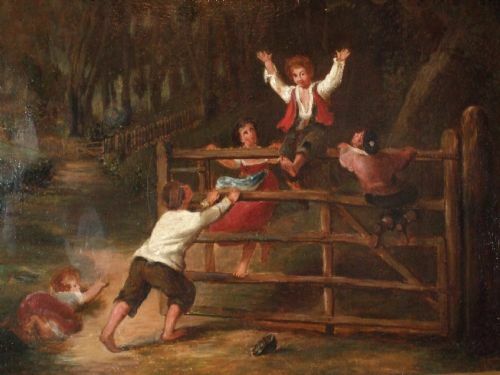 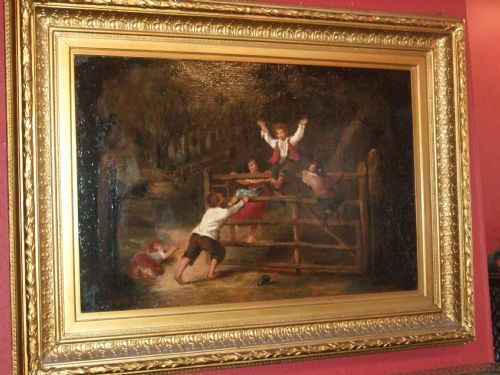 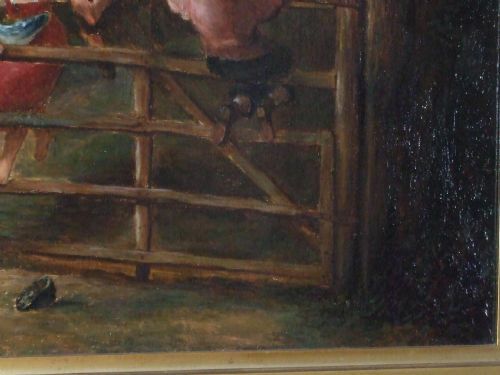 19th Oil Painting on Canvas in Gilt Frame.Woodland Scene of Children Playing on a Gate. 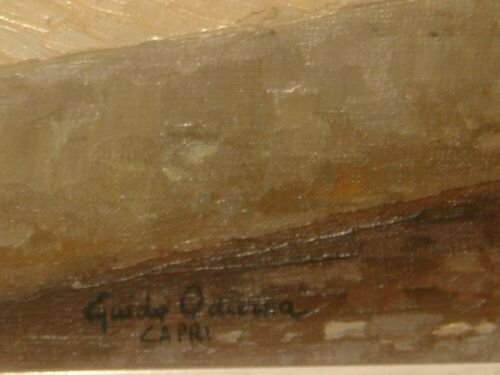 Guido Odierna was a noted painter, born November 13th, 1913 in Capri, Italy, known for his seascapes in oil, landscapes, still lifes, botanical, coastal and fishing boat scenes in places such as Capri, Naples, Florence, Rome, the Amalfi coast and Venice to name a few. 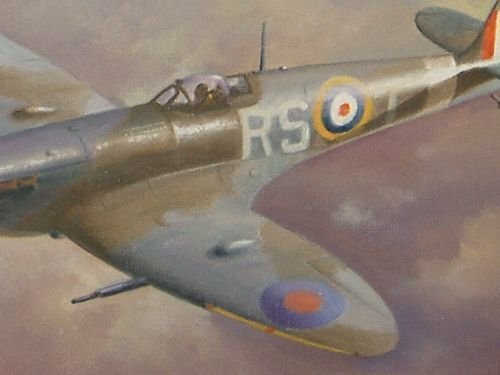 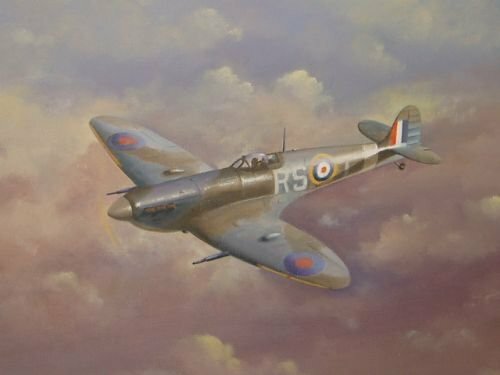 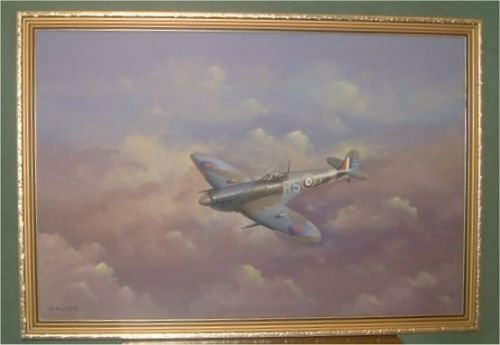 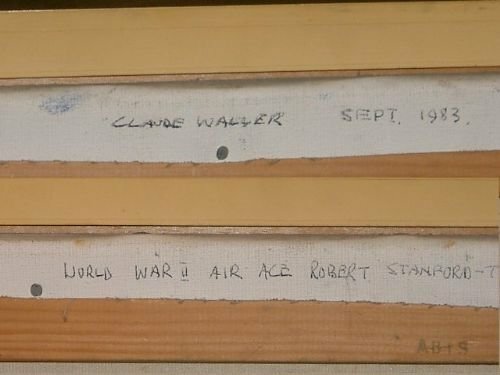 20thC Oil on Canvas of Spitfire (flown by WW2 Air Ace Robert Stanford-Tuck) Painted by Claude Waller 1983. 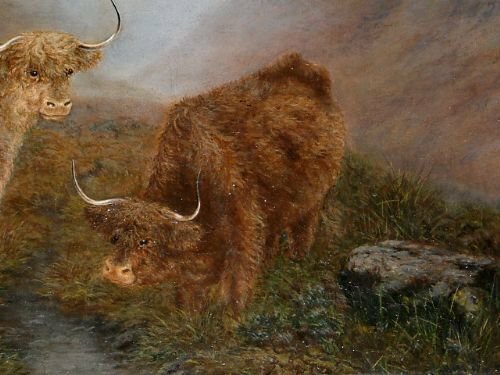 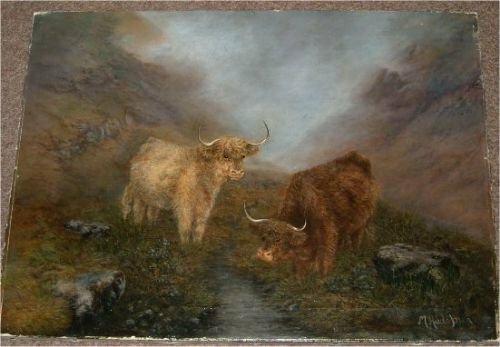 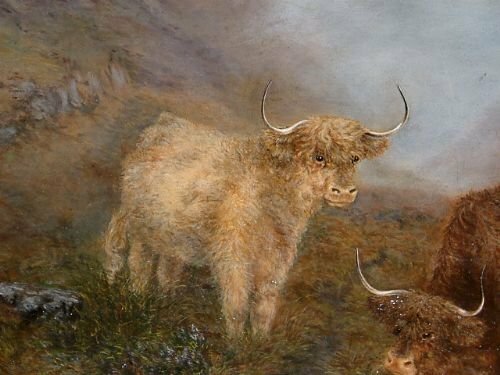 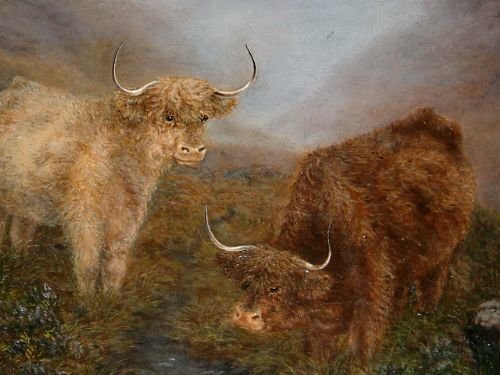 Victorian Oil on Canvas Signed M.Hudspith of Highland Cattle Drinking by a Stream. 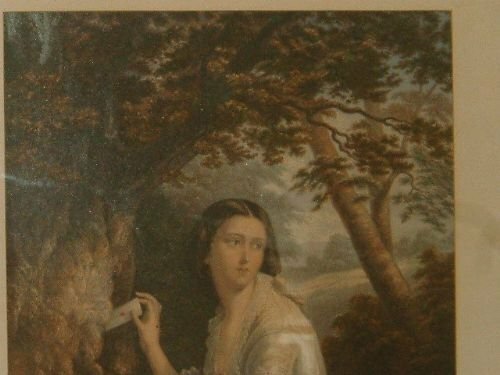 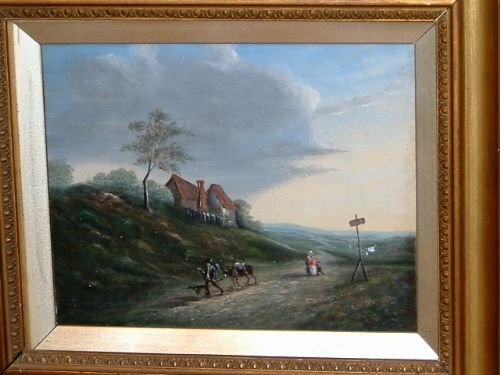 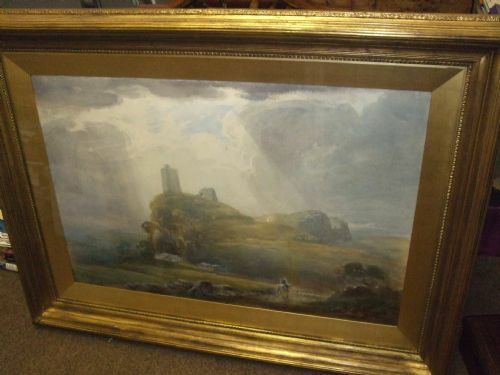 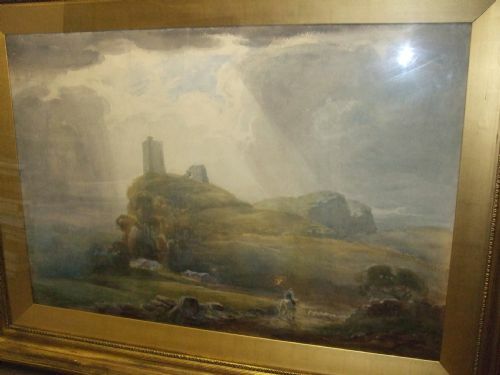 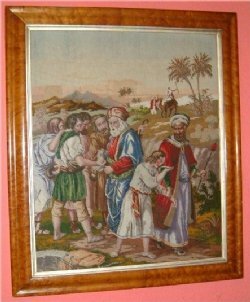 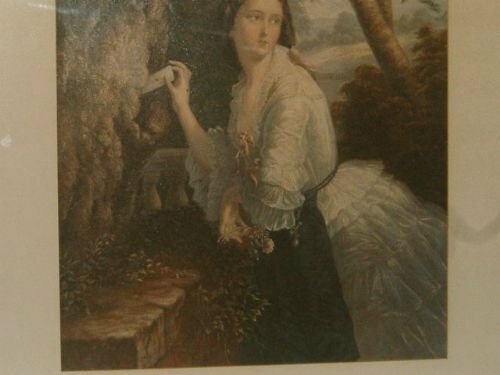 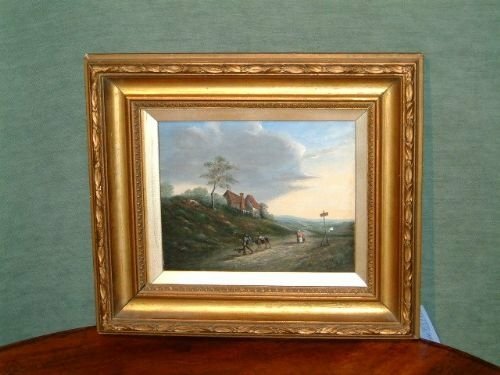 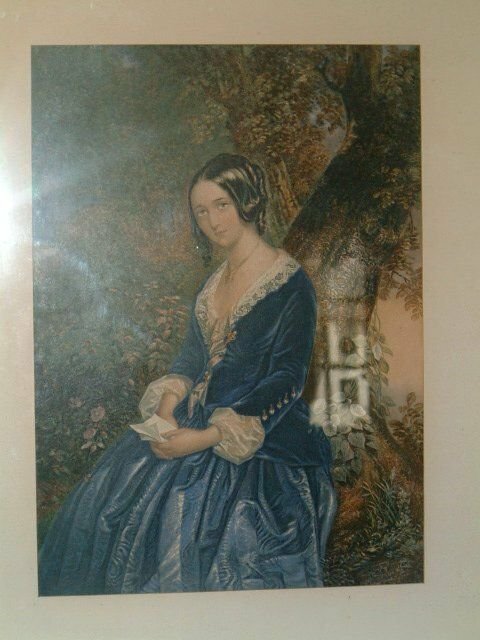 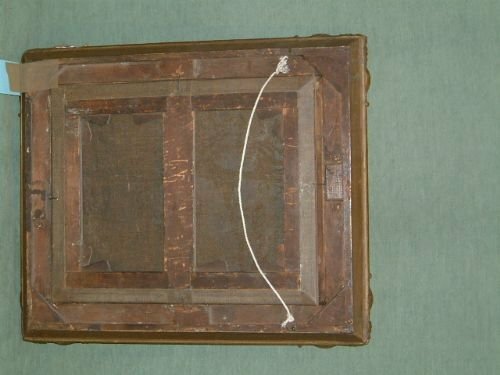 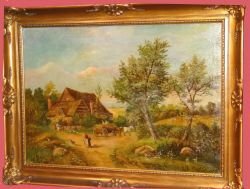 Unframed Size 24" x 18"
19th Century Oil on Canvas Signed J Raquet? 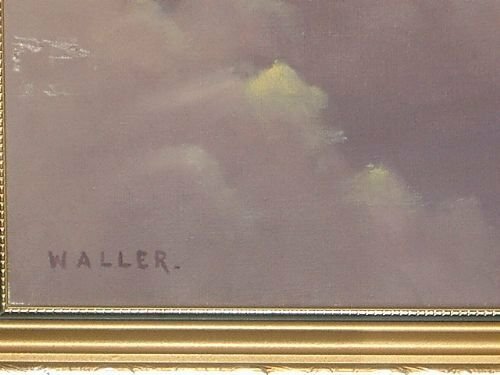 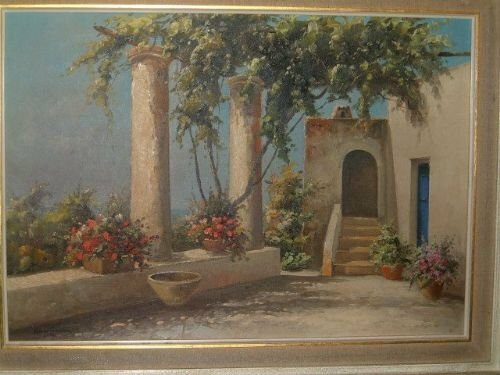 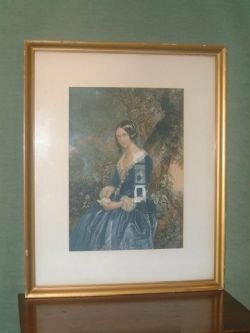 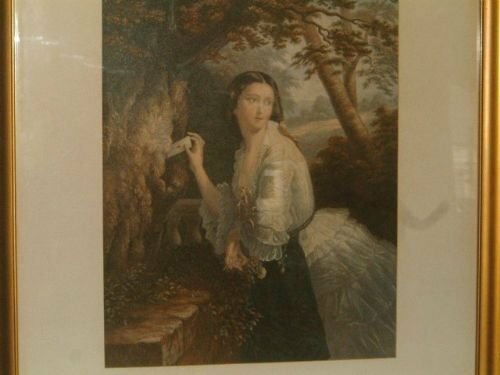 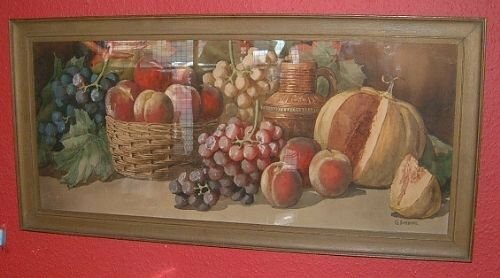 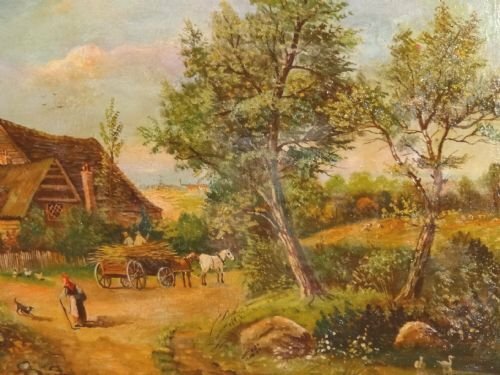 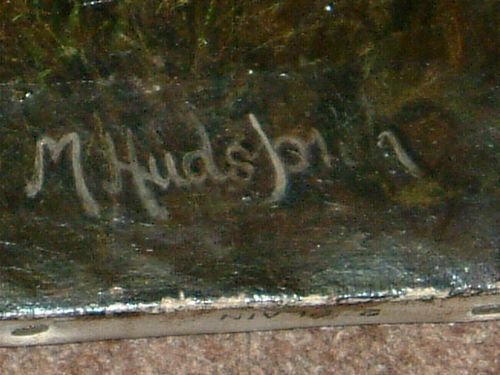 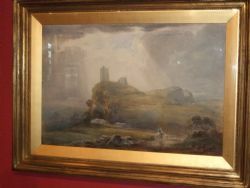 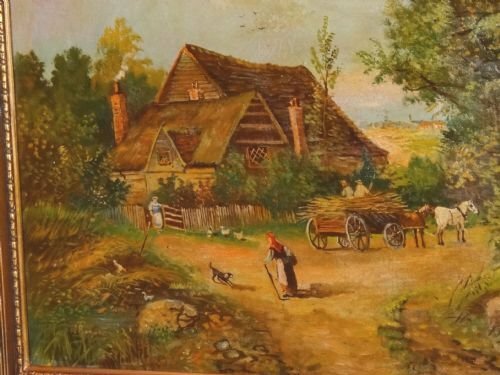 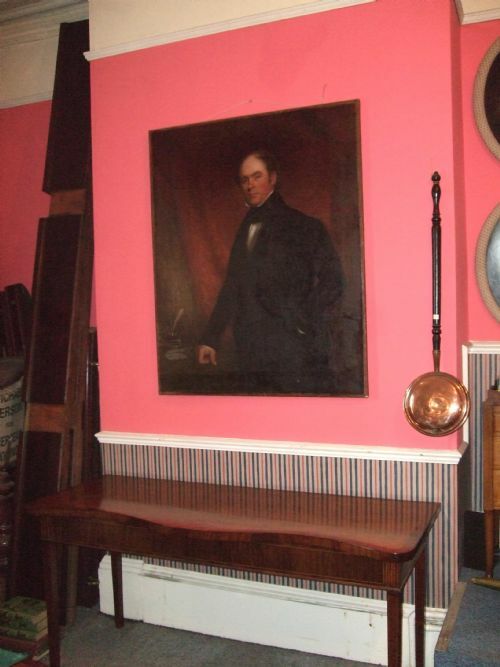 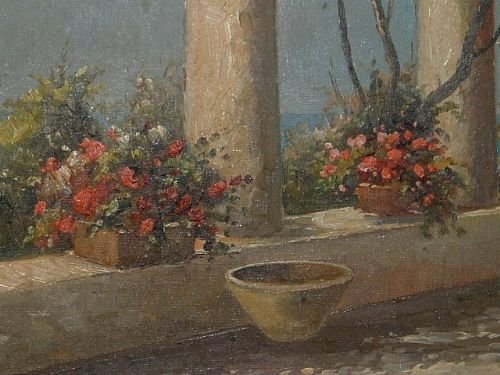 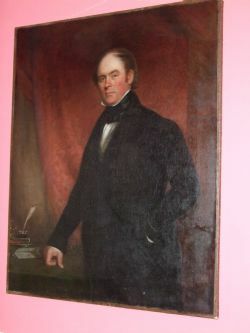 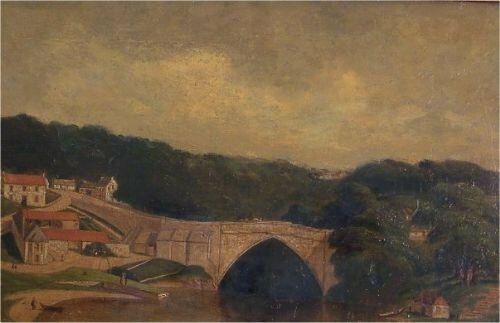 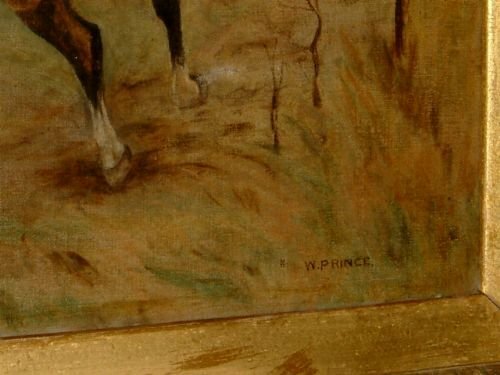 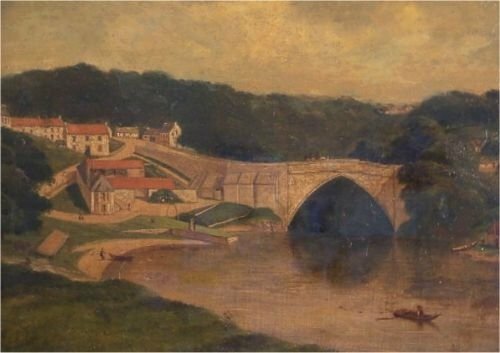 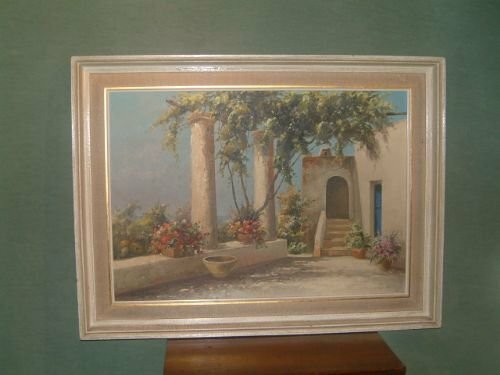 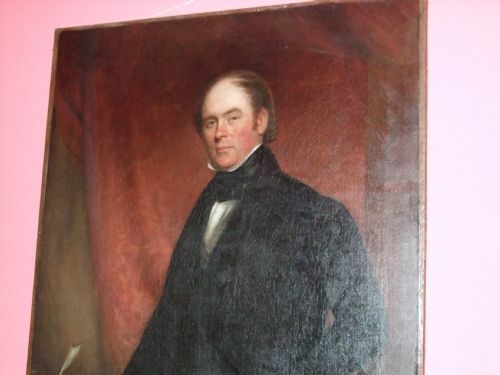 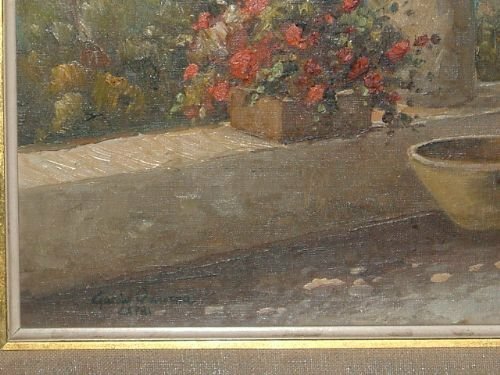 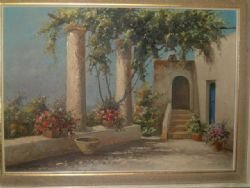 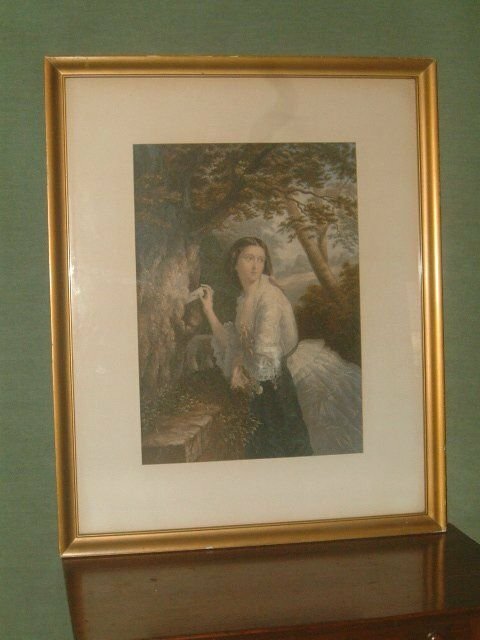 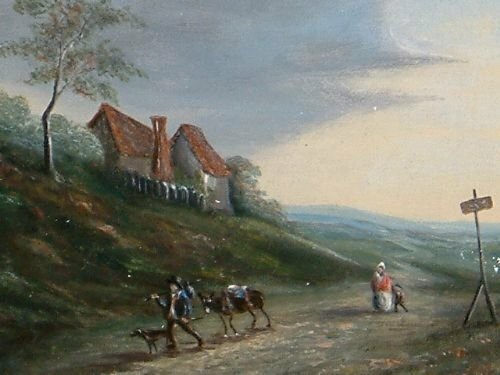 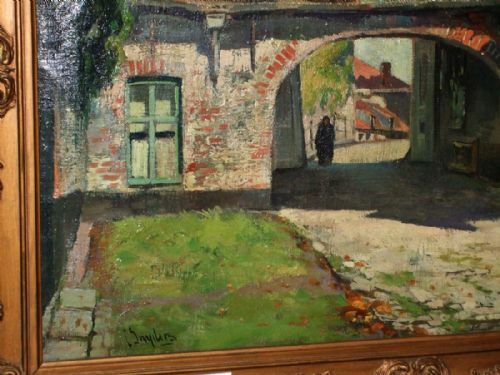 19th Century Oil on Canvas Signed J Raquet? 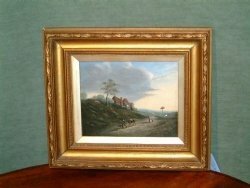 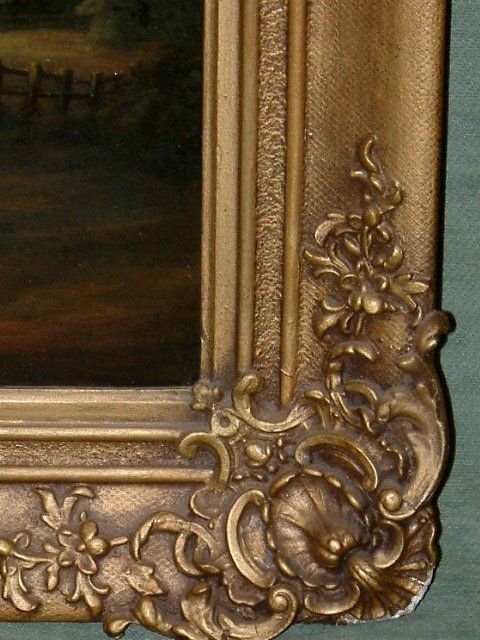 in Giltwood Swept Frame. 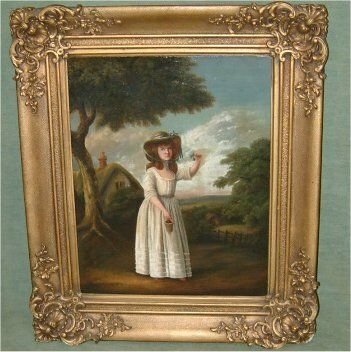 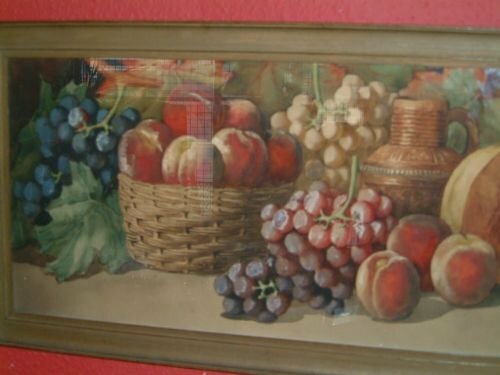 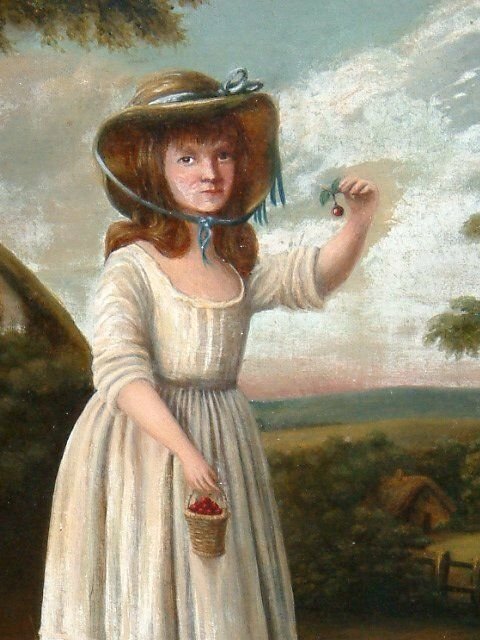 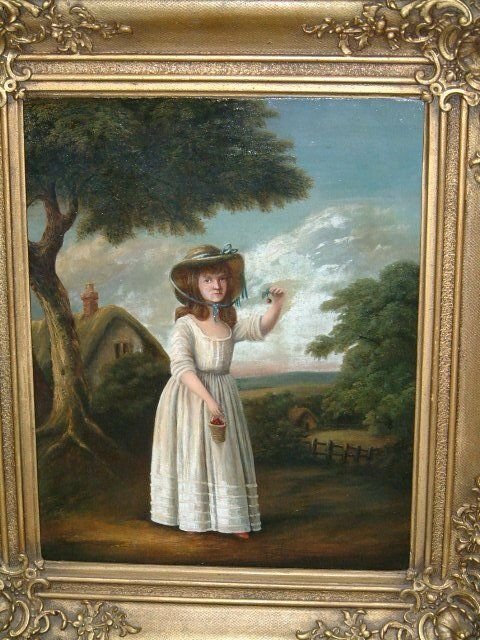 19th Century Oil on Canvas of Girl with Cherries, nicely painted Semi Primitive scene. 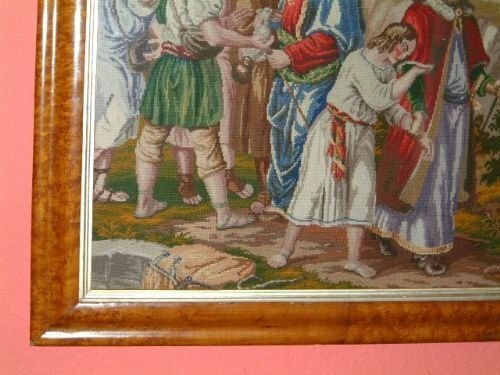 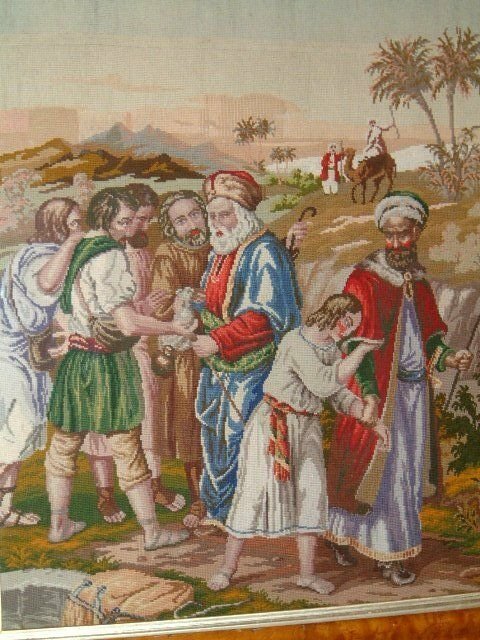 Bearing Lables to reverse of picture. 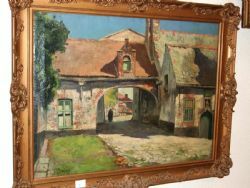 Overall Size 22.5" x 18"